Being a mom, one the hardest things is finding new recipes that your family will love and easy for you to make. I just think I know what my girls will love to eat and they will tell me that they are NOT going to eat what I just cooked! At our house, my families tastes keep changing, so I’m always on a quest to find the new, best thing in food. This recipe looks so impressive but is so easy to put together! I know it’s a complete hit, when my daughter comes home from school and asks if there is leftovers? This adult and kid approved and it will become one of your families favorites! Preheat oven to 350 degrees and grease generously a 9 inch spring form pan, or a 9 inch cake pan. In a large pot, bring a salted water to a boil. Add the pasta and cook 3 to 4 minutes less than the package instructions. so the pasta is very al dente. Drain and reserve a small amount of the pasta water. In a skillet, brown the beef on a medium heat. Season with salt and pepper. Place the beef onto a plate covered with paper towels. Wipe out the skillet with a paper towel. Heat the olive oil in the skillet over a medium heat and saute onions and garlic, about 4 to 5 minutes, and then remove from the heat. In a large bowl, whisk eggs, marinara, ricotta, 1/2 cup Parmesan, 1/2 cup mozzarella, parsley, salt, pepper and two Tablespoons reserved pasta water. Add the cooked pasta, beef, onion, and garlic. Toss to evenly coat. Pour into the prepared pan. Top with the rest of the mozzarella and Parmesan. Bake for 25 to 30 minutes, until the cheese is bubbling and golden brown. Let sit for about 5 minutes, and then remove from the pan. Serve and enjoy!!! come on over! You are always welcome! I make a similar version using spaghetti. This looks so much better with the rigatoni….a must try! thanks for sharing. I bet your's taste amazing too! This is a different way to try pasta it looks delicious. thank you for sharing with us at #OvertheMoon link up. Hello ,it looks delicious.I think you are the best cooker in the word.Thank you ! Wow, I can almost taste this. I am drooling here. I love pasta in any form, and this looks delicious! Looks yummy! I love the round shape…makes for a cute presentation. Oh this looks good! Thanks for sharing at You're gonna love it. Your post actually was the most popular and so you will be featured this week! This looks So YUMMY! I can't wait to try it myself. I've picked this project as one of the features for this week's #MondayFundayParty. http://www.100directions.com/pretty-decor-food-ideas/ Thank you so much for sharing! What a great recipe with so much wonderful flavor, thanks so much for sharing with us at Full Plate Thursday! Okay, so this looks INCREDIBLE…I understand why it was featured! Thank you so much for stopping by Turn it Up Tuesday. I can't wait to see what you post next! This really does look like a family favourite! I'm definitely looking forward to giving it a try. Thank you for sharing your delicious Pasta Pie with us at the Hearth and Soul Hop. Hope to 'see' you again this week! Can you cook the onions and garlic with the ground beef? Yum! My boys love pasta so I know this would be a hit at our house. It makes the dish more fun as a pie rather than a traditional plate or bowl of pasta. With the assortment of spices and cheese, this can be jazzed up in hundreds of new ways to enjoy a quick and easy meal with a variety. Wow! 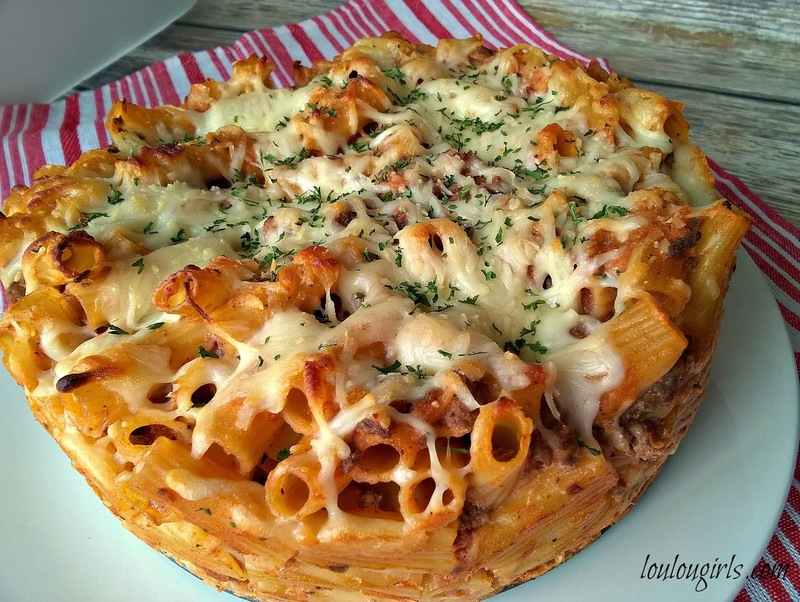 This looks delicious, I love baked pasta dishes like this. I will definitely have to try out this recipe! Born of a need to use up leftover pasta, I became fully obsessed with pasta pies so much. Hold the phone! This is freaking genius! 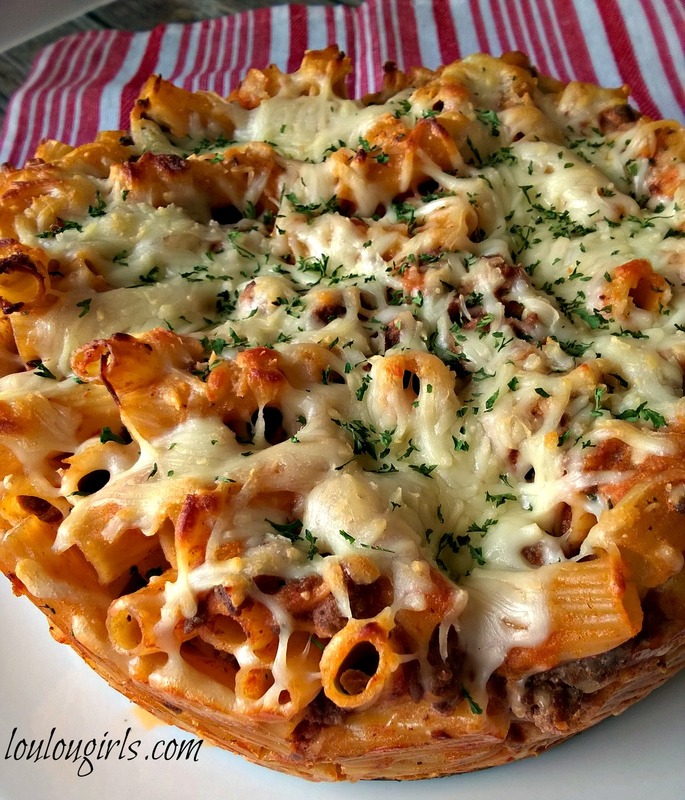 Seriously such a great idea combining the love of pasta with the glorious pizza pie. I could see a drizzle of extra sauce being absolutely perfection here. I would never have thought to make a pasta pie, but it looks delicious! This is definitely something I would try and eat for days later! OMG I used to have this all the time when I worked in retail. The cafeteria called it pasta bake, and it came in individual little dishes, and was totally delicious. Thanks for the memory, I need to throw this onto the menu plan this week! Pasta pie sounds like the ultimate comfort food. And it looks so good. I’m sure your kids love this. The pasta pie looks delicious. And the recipe would work wonderfully for weekly meal prep. love this for weeknight and im sure leftovers will be great for lunch! My hubby could eat pizza and pasta every day of his life. He would love me even more if I made him this! This looks so good! I am always making pasta dishes, so I think this will be my next one. Yum! The kids would love this. Of course, pasta is always a hit in our house! It’s so funny when I was a kid we had to eat what my mom put on the table whether we liked it or not. Sometimes that was pure torture. Luckily, she was a good cook and always tried different things. It is hard to get kids to eat these days so finding great recipes everyone loves is essential. Oh my goodness!! Why would y’all do this to me, when I’m trying to be healthier in 2018, combine two of my favorite foods…or I guess, one of my favorite foods and one of my favorite food SHAPES. Looks SO yummy! You are totally correct about having a difficult time coming up with food to prepare for the family. This looks like a lovely recipe though! We’re all huge fans of pasta at home. Oh wow this looks great! My husband is Italian so we do a lot of pasta, this would be a really fun way to do something different with our pasta during the week. This is such a fun presentation for a favorite meal! Our most favorite slice of pizza at a local restaurant is their baked ziti pizza. It sounds silly because they really are a New York family but it’s the best thing ever! 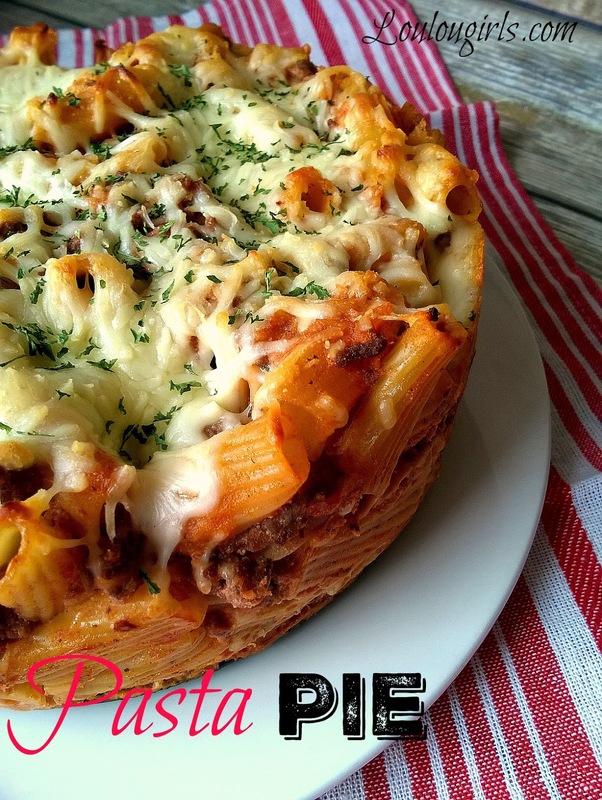 This pasta pie reminded me of that and I’m sure my daughters will love it!